3 Bedroom Detached Bungalow For Sale in Warrington for £375,000. 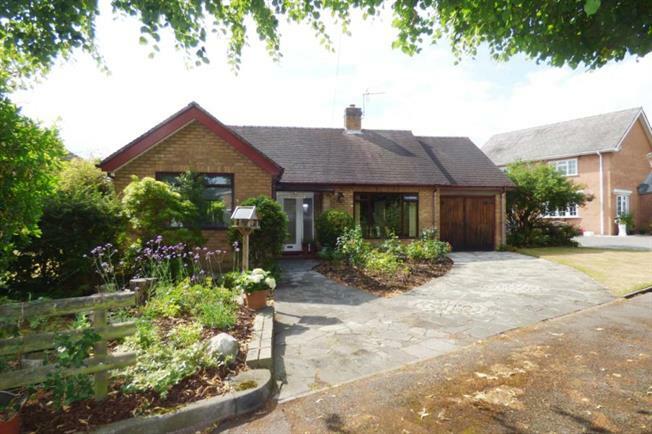 Boasting a wonderful secluded position this self-built detached 'True' bungalow is a must view home for all interested buyers who are looking for stair-less accommodation. Few people will be aware of this hidden gem located off Greystone Road at the heart of Penketh. Enjoying a short walk to Honiton Way shopping centre boasting a doctors surgery, chemist, heath centre, swimming baths plus many banks and local shops this great home would suit a buyer who would prefer to eliminate the need to drive to these amenities. The property was built by the current owner and offers an impressive level of both living and bedroom accommodation all positioned to the ground floor and is presented to a modern standard throughout. The kitchen has been recently upgraded and now offers a modern fitted suite with many integral appliances plus there is a modern fitted shower room. The three double bedrooms stand out when compared to other builds in the area and will impress all prospective buyers and are again presented with a modern finish. There are two reception rooms comprising of the formal lounge positioned to the front with access given to dining room which situated next to the kitchen and allows entry to Edwardian style conservatory which enjoys views over the private garden. An attached garage offers further potential or additional off-road parking which is accessed via the long curved driveway. Externally the gardens have been carefully maintained and offers beautifully shaped lawns with established borders with many plants, trees and shrubs which sweep around both the side and rear elevations.